Shelly and Dave Caldwell specialize in wheel thrown porcelain pieces, that are hand glazed and high fired at cone 10 for elegance and durability. Perched in their mountain side Park City bungalow, Shelly and Dave make a perfect artistic duo. 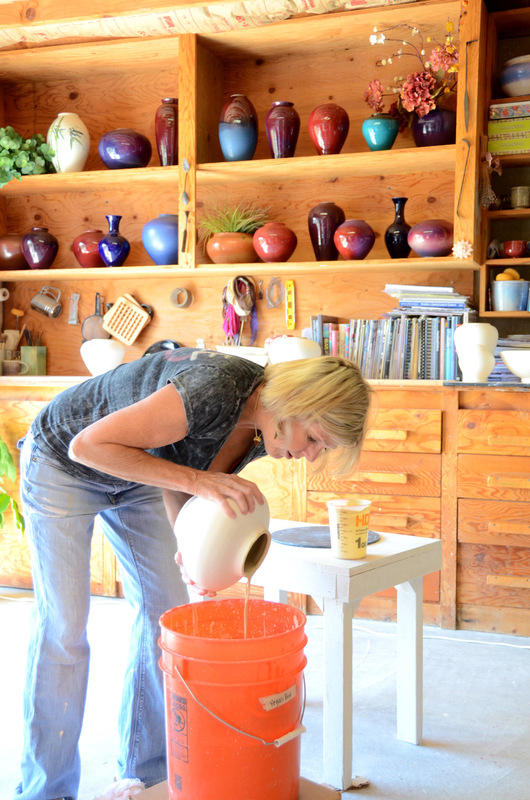 Shelly spent many years in Vegas as an apprentice under Tom Coleman, learning to throw, glaze, and fire elegant durable porcelain. Since then, Shelly has developed and honed a timeless style of her own, making her pieces perfect for every style of household. The studio is often covered in sketches and stickies with her latest ideas, the counters full of tools, and the shelves filling up with her newest artistic creations. 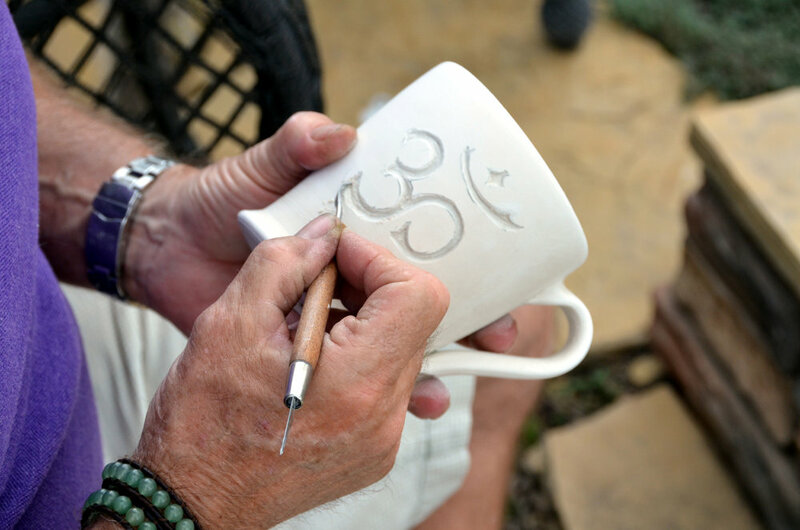 David is an airline pilot who has developed a passion for carving, as well as the science behind glazing and firing. 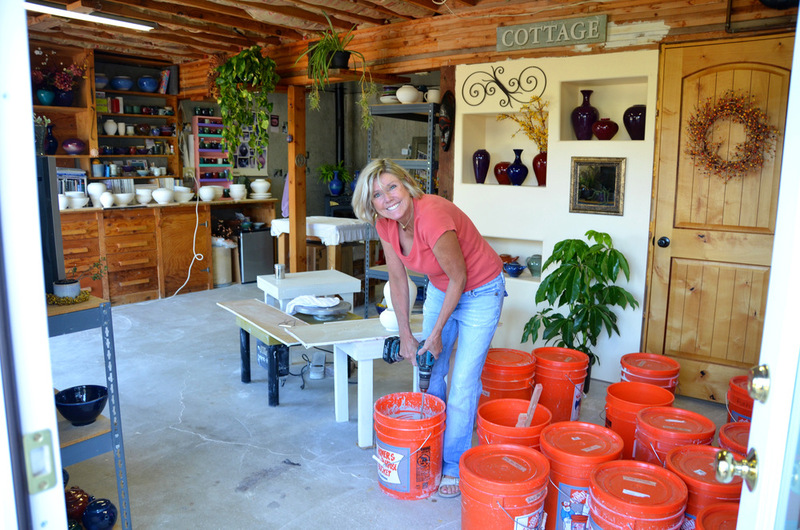 The firing process takes 12 hours of attention to the kiln to ensure perfect quality, and it isn't uncommon for Shelly to bring Dave dinner at the kiln because he wants to observe, learn, and perfect his firing process. 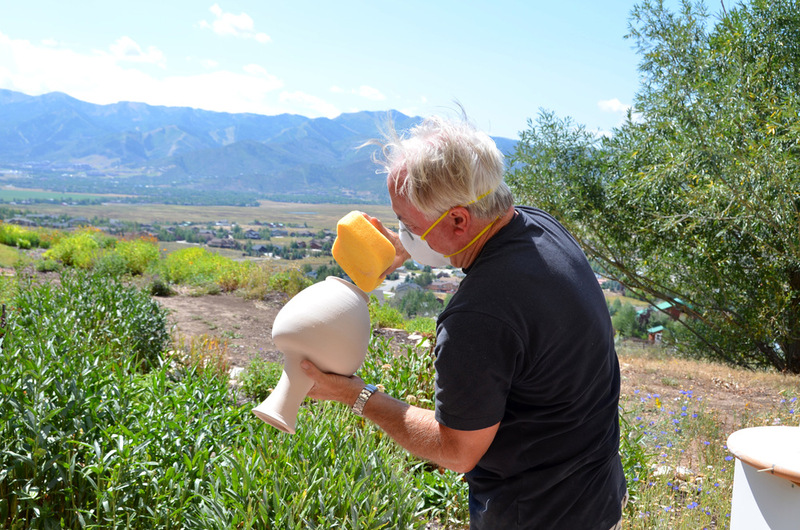 When the Caldwell's moved to Park City in 2004, they went to work building a studio and kiln to continue their work. Today, they form a perfect duo developing art for everyone to enjoy. Visit the "Gallery" or "Shop" tabs to view more of their work.